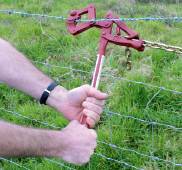 Tension wire, including barbed wire, from the end or the middle of your electric fence line. 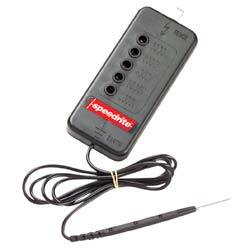 Grips wire firmly without damage. Operating instructions supplied.